Selling a mobile phone? Sell your mobile phone for cash with Sell My Old Mobile Phone and get an independent price comparison of mobile phone recycling sites. Who Are Sell My Old Mobile Phone? We're committed to saving the environment, and earning you the most cash, that's why you can compare prices of mobile phone recyclers to see who gives you the best deal when you sell your old phone. 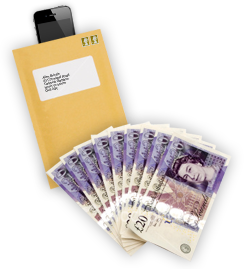 We help you to sell your mobile phone for cash by comparing prices from mobile phone recycling sites. There are many mobile phone buying sites, such as Envirofone, Mopay, Mobile Cash Monster, Mazuma Mobile and more, all offering different prices for your old phone. At Sell My Old Mobile Phone we update the prices every day and make it easy to compare prices, so you can be sure you're getting the best price for your mobile. How Many Mobile Phone Recyclers are listed? We currently list over 20 different mobile phone recycling sites, it is our aim to have every mobile phone buyer listed here, and to become the most comprehensive mobile phone selling site online. We want to be the number one mobile phone recycling price comparison service. I sent off 2 mobile phones, one was not in the best condition but worked fine, the other was immaculate. I chose Mobilecashmate as it was the best offer by far. The not so great phone was reduced from £10 to £6, the reason given was 'phone has scratches on the screen, aswell scuffs on the outer casing' which I agree with. However, the immaculate phone which always had a case and a screen protector on was reduced from £70 to £60 for the same reason. There were no scratches or scuffs anywhere on that phone!